Our loving husband, father, grandfather, and friend Frank Charles Taylor (93) passed away peacefully on Saturday, November 24, 2018 surrounded by family. Frank was born the youngest of three children in Salt Lake City, Utah on June 2, 1925 to Frank Bayard and Eliza Dufresne Taylor. 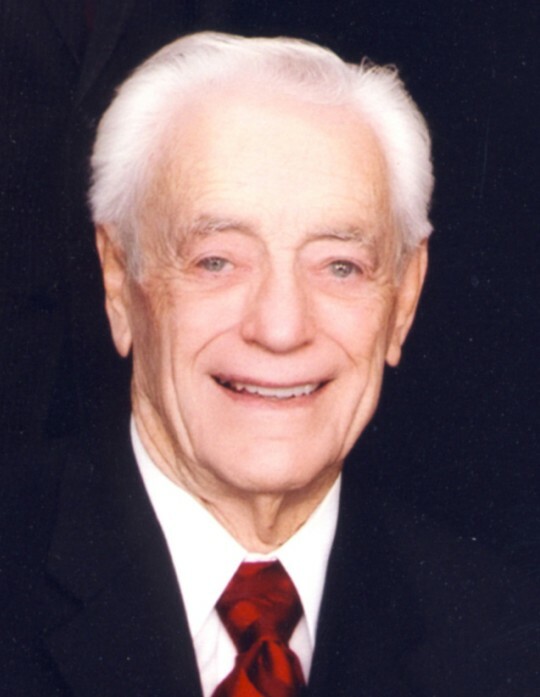 He was raised in Tooele, Utah and graduated from Tooele High School in 1943. Following graduation, Frank answered the urgent call of his country and enlisted in the Army Air Force where he was trained as a bombardier and achieved the rank of 2nd Lieutenant. He returned to Tooele at the conclusion of WWII and married his true love, Elaine Darling Wallin, on November 29, 1947. They were blessed with three wonderful children. Their marriage was later solemnized in the Salt Lake City LDS Temple. Frank and Elaine were married five days short of 71 years. They made their first home in Logan, Utah where Frank attended Utah State University and graduated with a bachelor’s degree in Civil Engineering in 1950. After graduation, they moved their family to Salt Lake City where he worked for Utah Power and Light for 37 years. Following six weeks of retirement, Frank returned to work, for several more years, as a consultant for a number of large construction companies. Frank and Elaine loved to be together and enjoyed traveling, golfing, skiing and spending time at their vacation home in St. George. They especially loved dancing and were expert ballroom and square dancers. They were active in many dance groups and served on the National Square Dance Committee. In their later years they took up line dancing and enjoyed dancing at the local senior center into their late 80’s. Frank is survived by his beloved wife Elaine, daughter-in-law Carla Taylor, son Jerry (Joan) Taylor, daughter Sharilyn (Jim) Brammer, 8 grandchildren and 15 great-grandchildren. He was preceded in death by his parents, sisters Alice Rampe and Bernice Shipman, son Brent Taylor and granddaughter Jeannine Taylor. Frank was a loving, kind, patient and affectionate man who was devoted to his wife and family. We will all miss him; but are so grateful for the outstanding example that he has left for his posterity and friends. Funeral services will be held at 11:00am on Friday, November 30, 2018 at the Canyon Rim Stake Center, 3051 South 2900 East SLC, UT. Friends may visit with the family on Thursday evening from 6:00pm to 8:00pm at the Holbrook Mortuary, 3251 South 2300 East, and also at the Stake Center on Friday morning from 9:30am to 10:30am prior to service. Interment will be at the Wasatch Lawn Memorial Park.